yeah its a good phone for memory and internet, but if you like swapping songs and pics with ur mates not recommended as you can't use the bluetooth on it. not really liking the keyboard either. 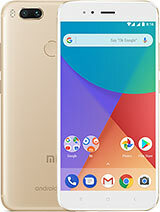 ok yeah its a good phone for memeory and internet but if you like swapping songs with ur mates not recommended as you can't use the bluetooth on it. has new firmware "cupcake" arrived. where is it available n if it costs to upgrade if so how much? 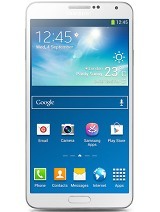 This is a smart phone if u use more memory so u can download software what do u want. Just 1 thing need to improve my G1. Does this phone can record video ?? Responsible use!, 23 Dec 2008Not useful because you cannot drive and text with one hand at the same time?! Get off the roa... moreYou better be insured when you have an accident due to texting. Please respect other drivers and pull over or wait to send a text. You scare me. the wireless drains the battery.. flat after 24 hours.. keep it off when not using it..
i want to know what phone to buy the iphone the g1 or the HTC touch tell me what one and why please!!!! I actually own the phone, unlike most of these people posting negative comments. It's a great phone and will only get better with time. 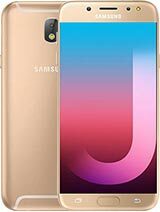 want to know how to unlock this phone?pls help me..my subs want to know this. Anonymous, 24 Dec 2008does anyone know how to take off the clock on the background?! and how do you upload songs to ... morewhen you touch the clock hold your finger on it then drag and drop to the bin/menu. Anonymous, 25 Dec 2008How do you transfer data from one phone to the other using Bluetooth on G1 Google phone. I ne... moresorry, G1 at this point does not support data push bluetooth profile. Currently G1 only supports headsets bluetooth. When cup_cake firmware upgrade comes in january 2009, A2DP stereo bluetooth will also be supported. Not sure if cup_cake firmware upgrede will support FTP over bluetooth. How do you transfer data from one phone to the other using Bluetooth on G1 Google phone. does anyone know how to take off the clock on the background?! and how do you upload songs to the phone? i tried doing it but i simply cant do it.. This fne looks great and with the new cupcake update im sure its going to get even better. Can we plz have a review though!!! there is an upgrade to G1 firmware coming in January 2009 called CupCake. Reportedly cupcake will fix many bugs, include A2DP stereo bluetooth support, virtual keyboard (like iphone), vide recording, etc. GOOGLE on "G1 cupcake" and read the article from android development site. 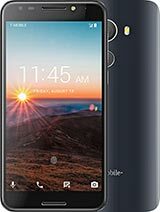 Total of 1303 user reviews and opinions for T-Mobile G1.